Waldorf's Kaila Jackson, photo courtesy WU Sports Info. Central's Will Daniels, photo courtesy CC Sports Info. 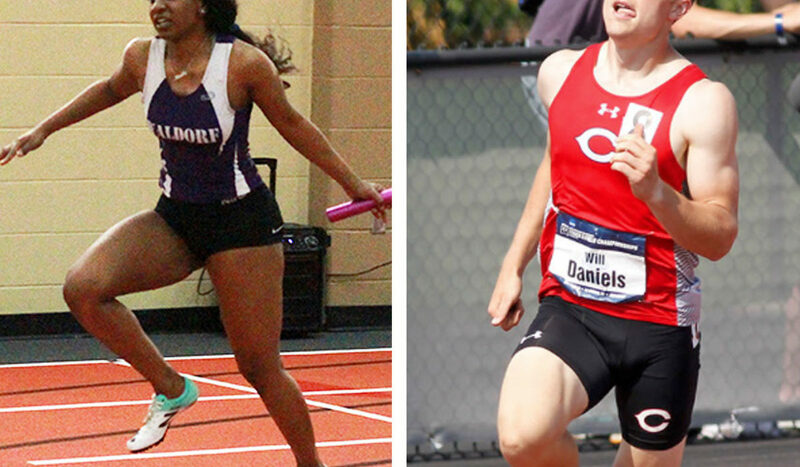 This week’s Iowa college Players of the Week are Kaila Jackson, WU, and Will Daniels, CC. It is becoming a habit for Jackson as for the third straight weekend she broke two school records. Jackson broke the Warriors’ record in the 60-meter dash with the fastest time in the North Star Athletic Association this winter, and won the event at the Bethel Gene Glader Classic in 7.89 seconds. The junior was also runner-up in the 200 on Saturday and broke her school record in that event she set a week early with a time of 26.27 – and that was also the fastest time in the NSAA this winter. 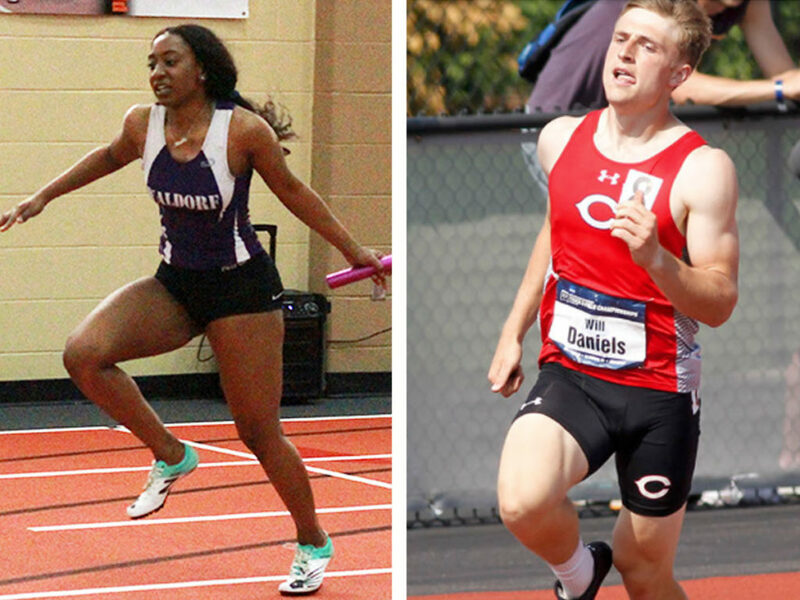 Daniels wrote his name is NCAA record book with the best heptathlon mark in Division III history. He posted a score of 5,441 points and won the Wartburg Select by more than 400 points. Daniels’ previous best was 5,287 and the previous Central school record was 5,399.